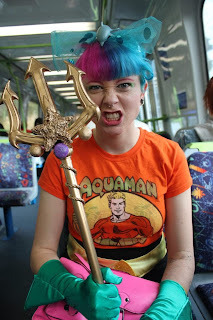 Cazz, Aka Nerd Burger is 27 and lives in Melbourne, Australia with her husband and 2 cats. 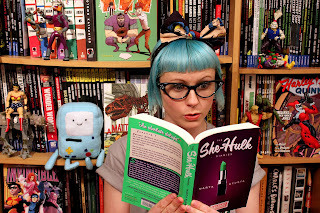 She has a passion for comic books and all things nerdy and shares that love with the world through her blog Nerd Burger, her comic book reviews and jewelry. Cazz: As a kid I was even more annoying than I am now. To keep me quiet while my mum did grocery shopping she would take me to a second hand bookstore before hand. I remember her buying me either Tales From The Crypt or Archie comics and I would read over and over again as I sat in the trolley. TNG: How and why did you start crafting/sewing? Cazz: When I was planning my wedding 3 years ago I felt lost. None of the wedding magazines had anything I liked and so I decided to make everything myself. From the flowers made of felt, to jars filled with paper cranes made from comic books, I worked my guts out and had a dream wedding. TNG: When and why did you decide to start your own Etsy shop? Cazz: After the wedding I realized I had caught the crafting bug. I could not stop crafting and could not wear all of the 400 necklaces, brooches and rings I’d made. It was time to send my jewelry on an adventure of their own. TNG: YOUR favorite Etsy shop? Cazz: Pony Chops. Chantal custom paints radical shoes, Adventure time, cats, unicorns. You name it and she will design and custom paint a pair for you. I have been saving to get a pair of sneakers with my cats on them for ages. 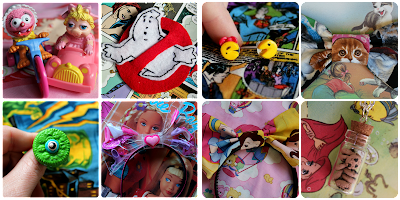 Cazz: Comic books and Disney. I live and breathe them. Nothing makes me happier then when someone watches my You Tube comic book reviews and tells me they bought the comic I talked about. When I am not reading comics I’m watching Disney films and working on my Disney tattoo. Both are so inspiring, with great female role models and make me feel like if you work hard and believe in yourself your dreams will come true. Cazz: I have never been to San Diego con but I have plenty for cons here in Australia. Make sure you buy your ticket ASAP because they often sell out. Take a lot of cash because there is only ever 1 to 2 atms for thousands of people. And Cosplay. Show your love for something you love, you will be amazed at what doors open up for you. 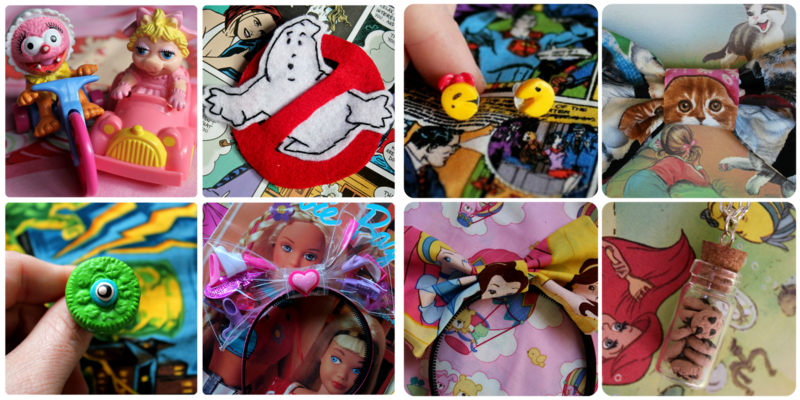 Cazz: Disney princesses, glitter and unicorns. If it sparkles I love it. 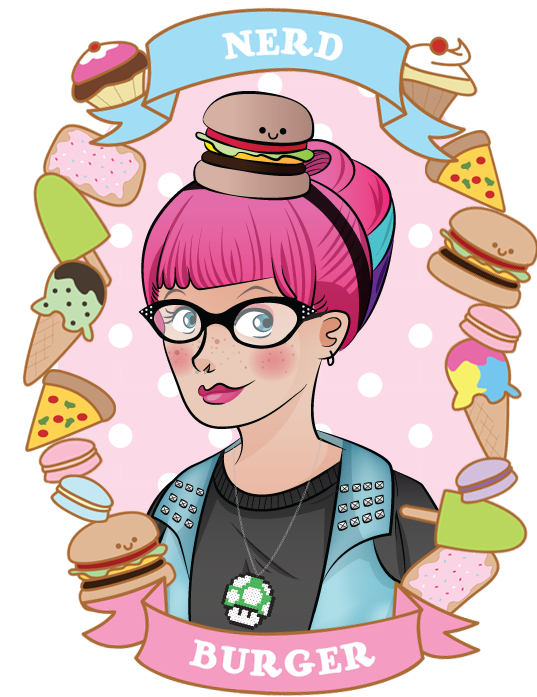 Thank you to the lovely and colorful Nerd Burger for answering our questions! 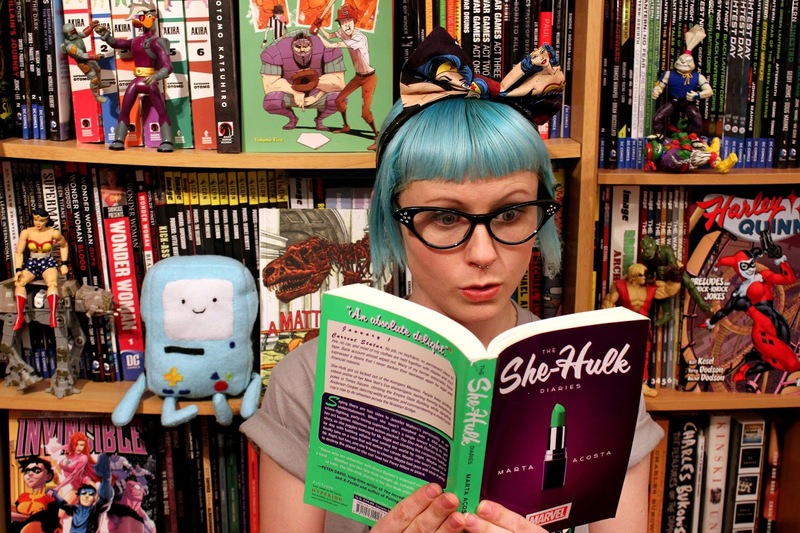 She is such a great example of being nerdy and girlie! I love watching her You Tube videos and hearing her lovely accent! She has also been a huge supporter of our blog! We love all her comments, go find out for yourself how amazing she is! 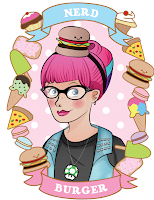 Find her on You Tube: Nerd Burger, her blog: Nerd Burger and Twitter: @nerdburgercazz. 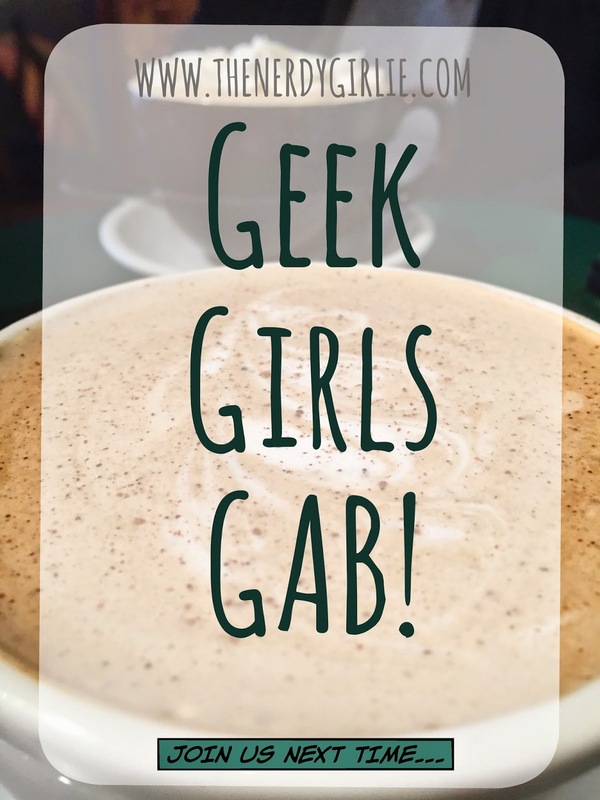 Thanks for having me on The nerdy girly!!! I love you guys.